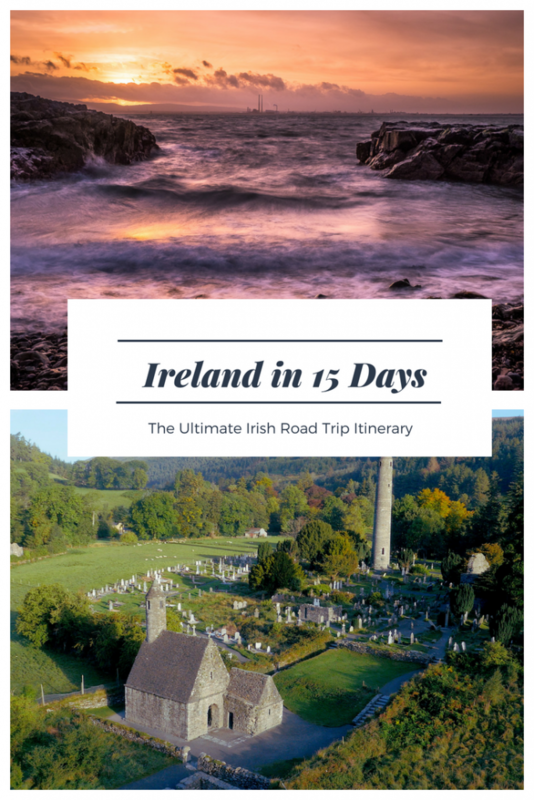 15 days in Ireland: what are the best things to do and see in Ireland in 15 days? Is it possible to visit Ireland in 15 days? Have you booked your 15-day vacation in Ireland and you’re now looking for information and a 15-day ultimate road trip in Ireland? 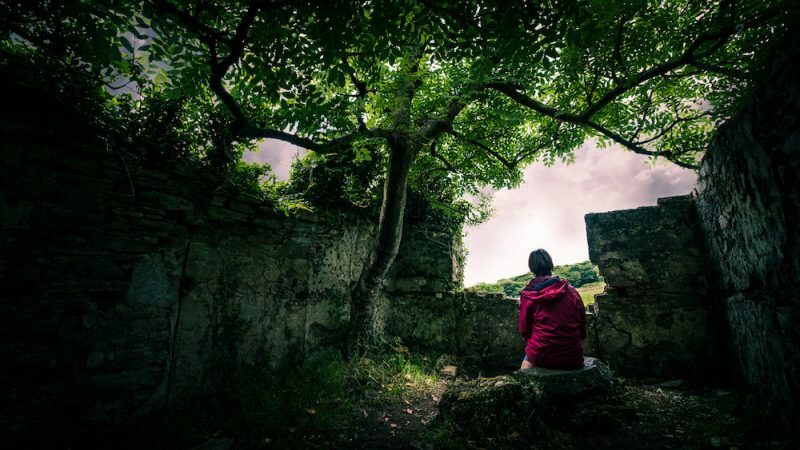 Want to know what to see in Ireland in 15 days, before booking your next trip? In this guide, I suggest you what to see in Ireland in 15 days and above all, I suggest a 15-day itinerary covering the whole of the South of Ireland: it starts from Dublin and goes back to Dublin. It’s a fairly slow itinerary to be done by car, which will allow you to discover the country from the best perspective. The stops are divided for days and for each stop you will find at least one recommended accommodation where to sleep (note: I do not suggest cheap accommodations but nice ones. In some cases, they may be cheap but in principle these are high-level facilities) and where possible also a place to eat; at the end of the itinerary, the map to understand what to do and how to organize. And now, off with our mega travel itinerary in Ireland in 15 days! Planning a trip to Ireland: when is the best time to go? Surely given the bizarre climate of Ireland, summer is the best time; for summer I do not mean August when usually the temperatures drop and the rain begins to fall incessantly without counting the many tourists, but June and mid-July when the days are long, the temperatures are good and it rains less frequently. But this is a trip that can be done all year round, taking into account that from September to March/April (if not later), rain and gray skies could accompany you, making some of the activities that I suggest hard to be done. Car hire in Ireland is a common practice and for this reason, it is good to organize on time, avoiding to find little choice and high prices. Find more information on car hire in Ireland by clicking here. In this travel itinerary in Ireland, I take you to discover some of the areas of the southern part of the country (Northern Ireland deserves a different itinerary), suggesting also little tourist areas (that’s why it’s good to have a car!). In this itinerary, you will find information on what to see in Ireland in 15 days but without taking into account the arrival and departure times by plane so it must be customized in order to be maximized according to the time of arrival and departure of your flight. In addition, if you have 15 full days in it, even a couple of more suggestions for you, before the complete map. If you land in Dublin, you can decide how much to stop but I suggest you spend at least one day in the city before venturing into the rest of the island and at least one day on the way back, as a detour and also to greet Ireland at best. 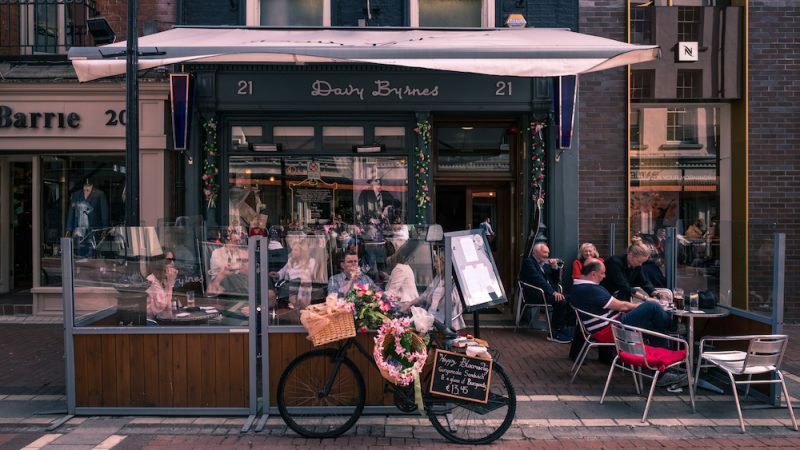 All the advice on what to do in Dublin if you visit it for the first time are available by clicking here. I recommend: in the evening do not miss a pint of Guinness at the pub, the first of many, and eventually choosing one of the many free activities around the city. 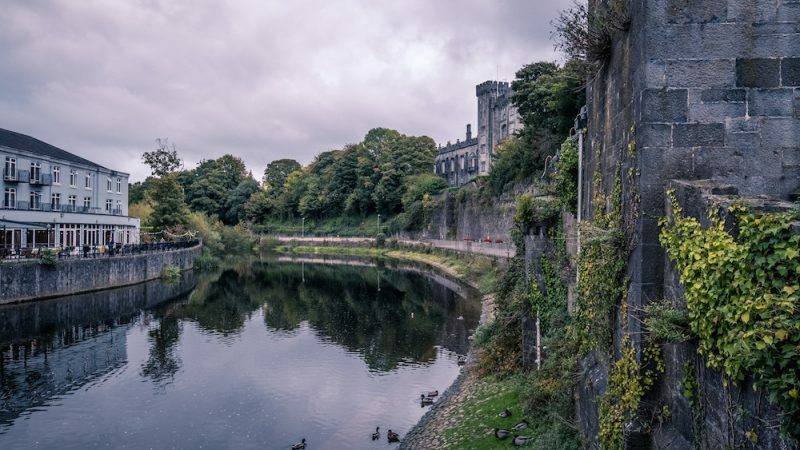 Pick up the car and head towards Kilkenny, a pretty little town that is just over 110km from Dublin and will take you back in time. All about Kilkenny by clicking here. In town, do not miss a pint of Smithwick’s, the local beer, to be tasted in one of Parliament Street’s many pubs. If you have time, I recommend a visit to the Dunmore Caves, among the largest caves in Ireland with interesting limestone formations. Leave Kilkenny early in the morning and head to Tipperary to visit the famous Rock of Cashel, where St. Patrick would have set out the comparison between the Trinity and the shamrock, a symbol of Ireland: it takes a couple of hours to visit the whole fortress and deviation is about 1 hour from the main road so I advise you to plan your visit well. At lunch stop in Waterford to taste a blaa, a white bread roll that is stuffed with local products and is in any bakery or local in the city; from here you will shortly reach the marina of Dunmore East from which to start following the South East Coastal Drive that will take you to Tramore, a fantastic stretch of beach on the dunes. From Tramore, next stop is Dungarvan that you can reach in a short time thanks to Cliff Road, the road overlooking the sea. From Dungarvan, in 1 hour you will arrive in Cork but before going to the city I recommend two detours: the first is in the Dungarvan area and is called Helvick Head, a promontory where the official language is Gaelic while the second is Cobh, with its houses colorful and a relaxed and relaxing atmosphere. Once in Cork, enjoy Ireland’s third largest city by walking around and planning a stop at the English Market, a must-see for those who enjoy cooking. 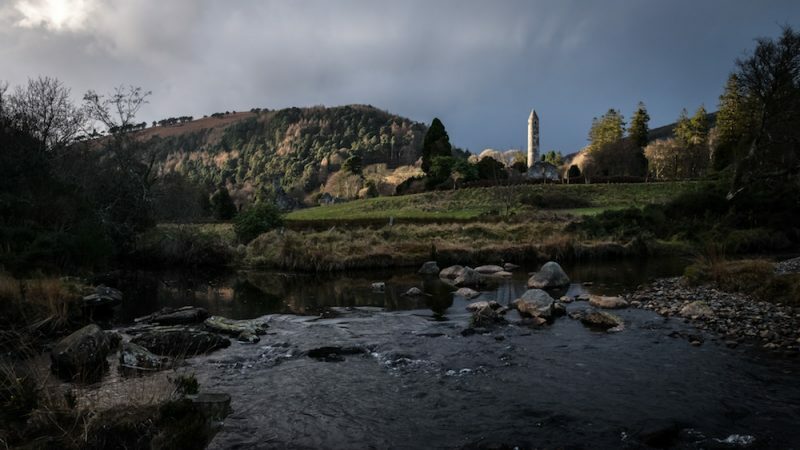 Little gem: the Shandon district develops all uphill and on the summit, you’ll find St. Ann’s Shandon where visitors can ring the bells after climbing to the top of the “liar from 4 faces”, the bell tower whose hands, with the wind, they move and mark 4 different hours. 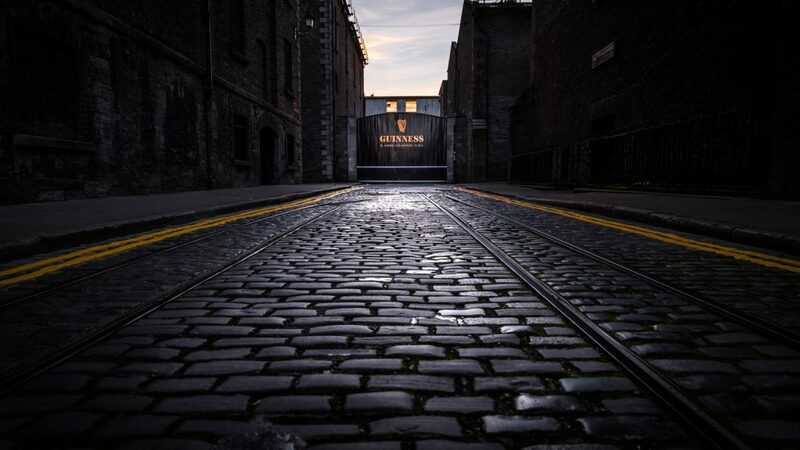 In Cork, you can visit the Beamish Brewery, the oldest brewery in Ireland dating back to 1600. Take a leisurely drive from Cork and walk the coastal road to Glengarrif. The coast is particularly beautiful and it is worth taking the trip lightly and calmly: you can take a detour to Baltimore, or the beautiful Crookhaven before heading back to Bantry and then stop at Glengarrif for the night. 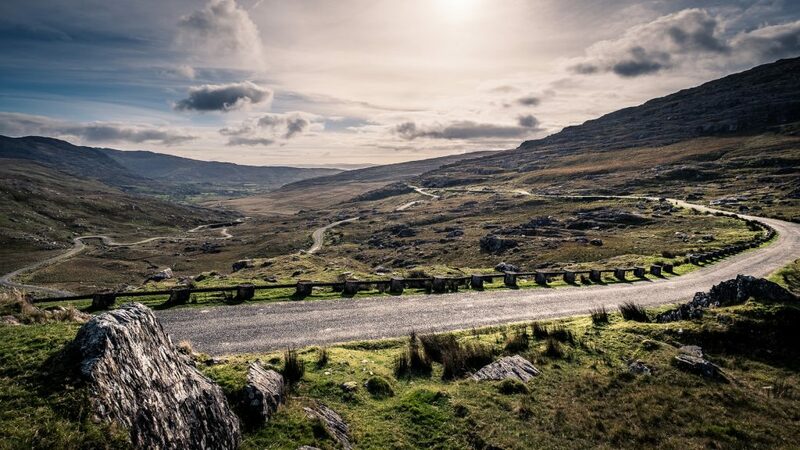 From Glengarriff you will soon reach Killarney and the Ring of Kerry, a 179km loop that you can travel in one day starting from Kenmare, to the South, and avoiding all the coaches that start from the North. From Kenmare go to Sneem, along with the Staigue Fort, and give yourself a little detour on the R567 to get to Portmagee and admire the beautiful view of the Skellig Islands, Portmagee, Valencia Island and the Dingle peninsula. The Ring of Kerry continues passing through Cahersiveen, Kells and Lough Carragh in the valley where the blackface sheep are found, the Irish sheep with a black snout. The Glencar Valley and Killorgin are the last stops before Killarney. Everything is covered in a variable time between 4 and 7 hours in the car, stopping and resting before going to Killarney. 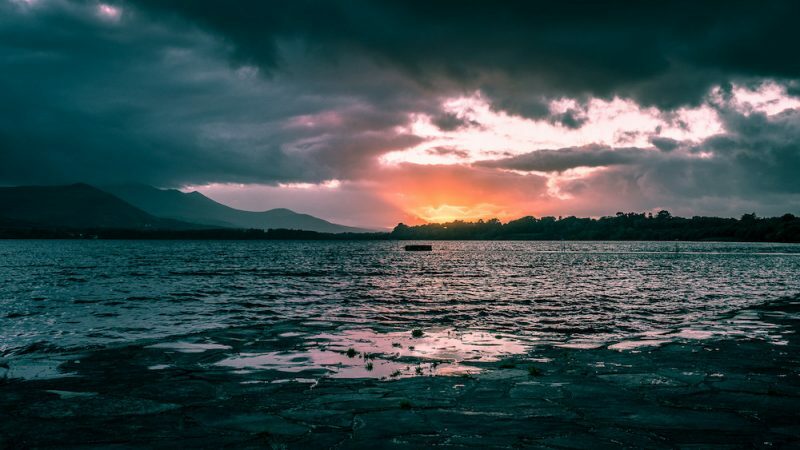 Killarney is best enjoyed because, located on the shore of Lough Leane, offers plenty of opportunities to stay in contact with nature. 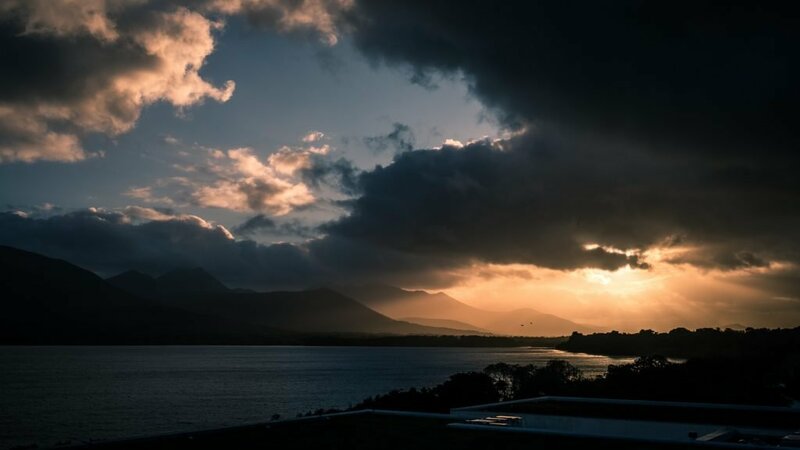 The Killarney National Park covers over 10000 hectares and houses 3 lakes and 4 mountains within it, which can be visited following two different routes, or both. 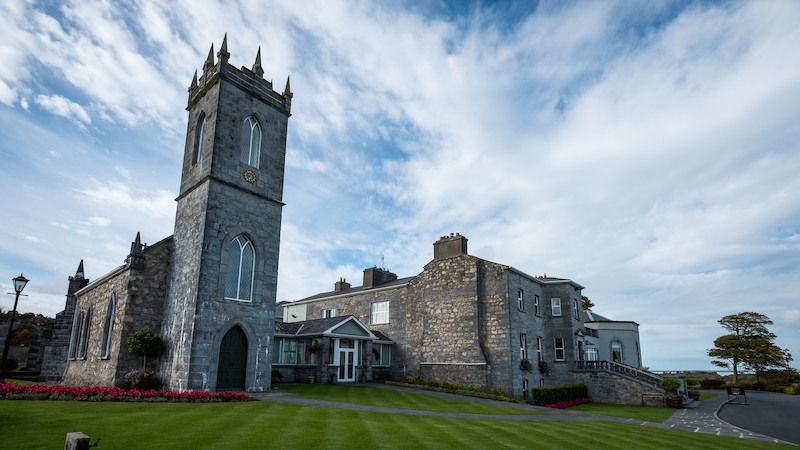 The first route is on the N71 and will take you to Ross Castle, Muckross Abbey, Muckross House and the picturesque Torc Waterfall, a waterfall that descends from Mount Tork with a jump of over 18 meters in the middle of the woods; The stop is Ladie’s View, the most famous view of the Killarney valley. The second itinerary instead winds on the lakes that can be crossed by cruise: there are different types and some provide that you walk from one lake to another through the Meeting of the Water that connects Lough Lane and Middle Lake. 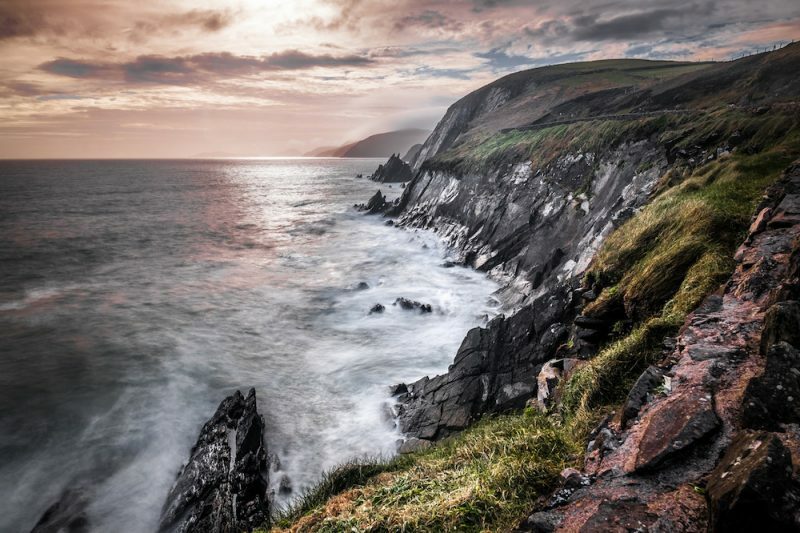 Dingle will amaze you by its location and its beauty, which you will notice immediately as soon as you start driving. The village is located on the slopes of Mount Ballysitteragh and today preserves Ireland’s richest archaeological heritage. 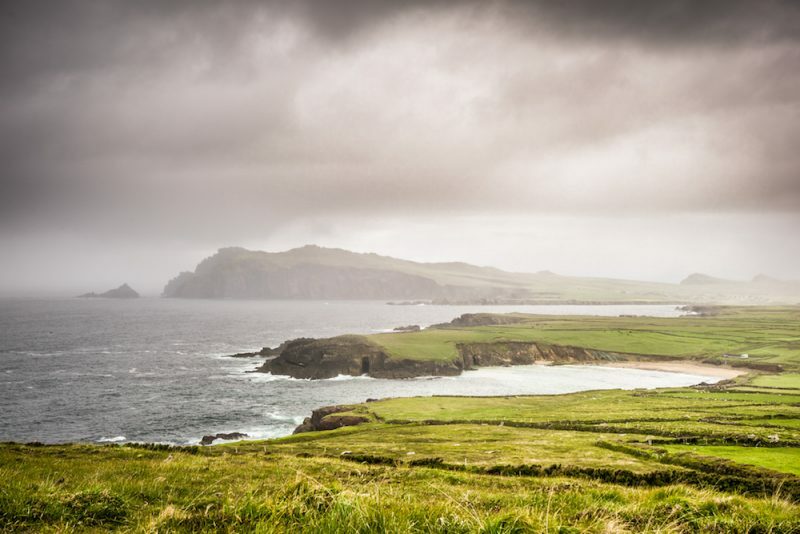 Dingle is ideal for listening to Irish music, relaxing and having fun at the same time and from here you can explore the peninsula as far as arrives on the Slea Head Drive where you can admire the Blasket Islands. Depart from Dingle via the Connor Pass, Ireland’s highest pass from where to admire the lakes to the north, the Skellig Islands and Dingle Bay. From here you get to Tralee and then take the motorway towards Limerick continuing to Ennis, a delightful village to visit quickly. From Ennis, the N85 will take you directly to the Cliffs of Moher passing through the coast from Lahinch to the north. 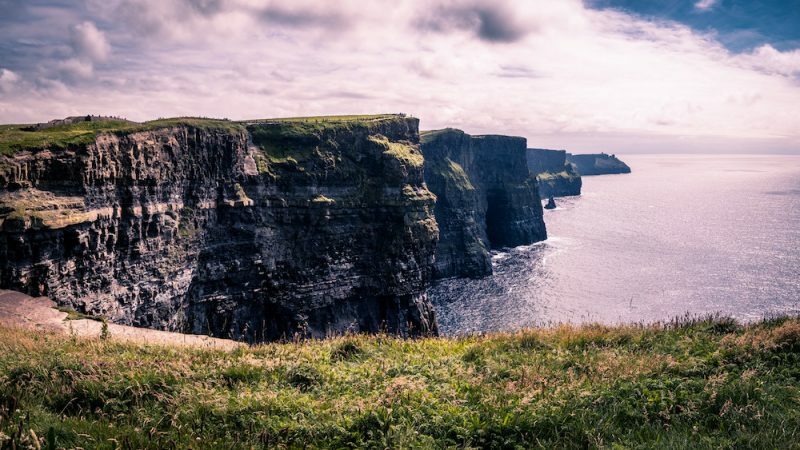 The Cliffs of Moher, stormed by tourists, are 8km long and over 200 meters high. Set off early from the Cliffs and head straight to Galway, one of Ireland’s most beautiful towns. town of the West of Ireland that enchants all those who visit it also because of its vitality. 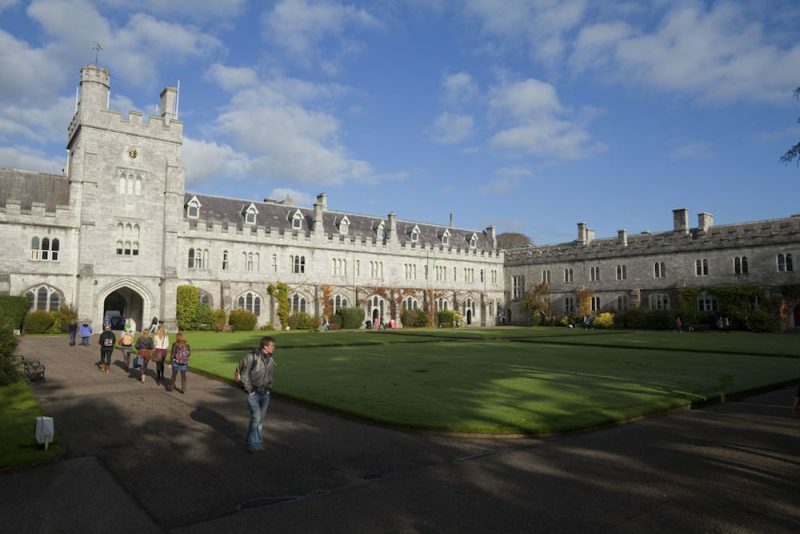 Galway will impress you with its nightlife, food and good music as well as the relaxed atmosphere that does not look like a city. From Galway, leave for a day at the Aran Islands but remember to choose one of the three. Inisheer is the smallest and is 8 km from the coast, Inishmaan is the middle one and Inishmore is 18km from the coast and this means that when the weather is bad it is completely isolated. You can take the boat to the Aran in Doolin (here the website to book and check schedules) and in Rossaveal (here the website to book and check schedules), a few kilometers from Galway but remember that if the weather is bad you may not leave. For the first visit, I recommend Inishmore, 13 km crossed by a single road where you can admire Dun Aengus, a dry-stone walled fort that overlooks an unprotected cliff. You can stop to sleep on the Aran or return to Galway to enjoy some real Irish life. 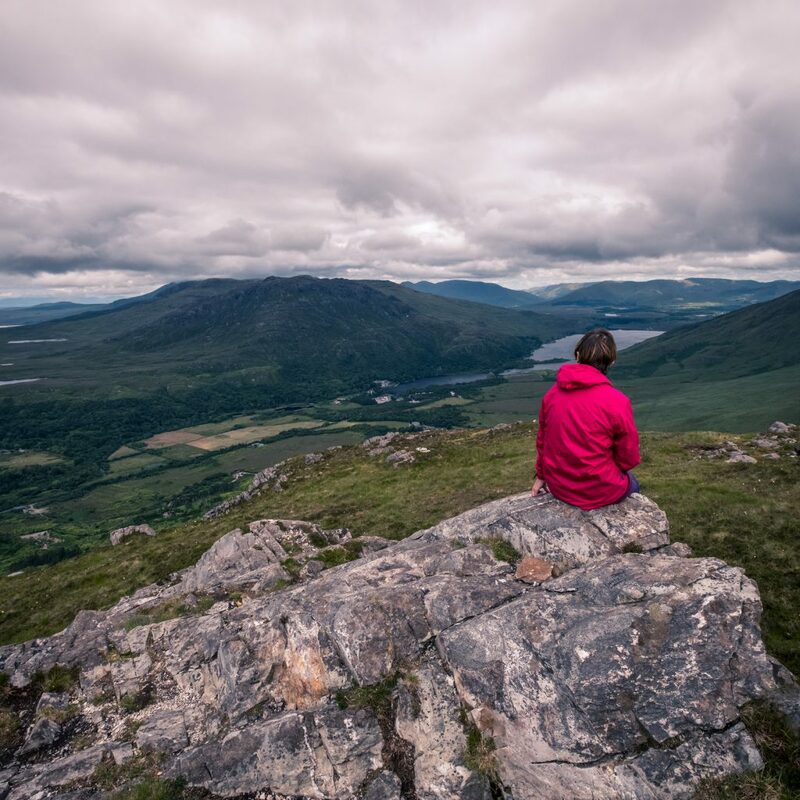 Depart from Galway or return to the mainland and treat yourself to a day in Connemara, a west area bordered by the Twelve Bens, rounded hills where it is not difficult to see Connemara ponies. Clifden is the capital of Connemara and just a few miles from here is Connemara National Park; a few kilometers from the famous Kylemore Abbey, a neo-Gothic church overlooking the shore of a lake. Before arriving at Kylemore Abbey, deviate to the Rinvyle Peninsula, a tongue of barren and wild land that separates Leenane from Letterfrack, still deviates to Tully Cross to arrive Lough Fee and Lough Muck and reach the beach of Glassilaun and the dunes of Lettergesh. If you can, do not miss the village of Cong. You can sleep in Connemara, in Clifden or even in Galway. If you sleep in Clifden, return to Galway and take the M6 towards Dublin to get to Newgrange. On the way stop at Clonmacnoise, a monastic site where you can admire the ruins of a cathedral, 8 churches, an unknown number of tombstones, Celtic crosses and Irish round towers. Newgrange is the most spectacular and ancient funeral complex in Ireland that is located in the middle of the Boyne valley and in the area you can visit the Trim Castle and the Hill of Tara. I advise you to sleep in Drogheda or in the valley instead of moving to Dublin, which is less than an hour from here. Going down to Dublin, stop at Skerries, where the sea laps the road. From Skerries a necessary stop in Malahide, a rich and unique port of its kind; if you need to stretch your legs, plan a walk from Malahide to Portmarnock and its surroundings to admire the coastline. 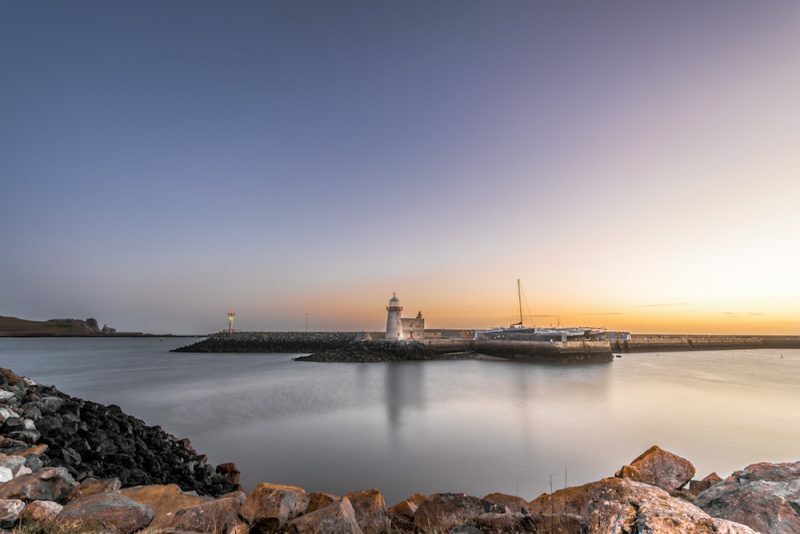 Last stop before arriving in Dublin is Howth, a delightful seaside village where to walk on the sea, see the sea lions and treat yourself to at least one piece of the promenade on the promontory. If you have time and desire, you can spend some time in Howth: find out more about Howth by clicking qui. We advise you to sleep in Dublin, to return the car and enjoy the last day in freedom to discover some unmissable goodies. Do not miss a visit to the Guinness Storehouse visit (more here); if you sleep close to the city centre, I suggest you walk to arrive first at Christ Church Cathedral and then at St. Patrick’s Cathedral before taking a walk in the Liberties area, which will lead you directly to the Guinness Storehouse. At this point you can go back to the center and relax or get to Phoenix Park and visit the Kilmainham Gaol, the most famous prison in Dublin. Do not miss a visit to the Guinness Storehouse visit (more here); if you sleep close to the city centre, I suggest you walk to arrive first at Christ Church Cathedral and then at St. Patrick’s Cathedral before taking a walk in the Liberties area, which will lead you directly to the Guinness Storehouse. 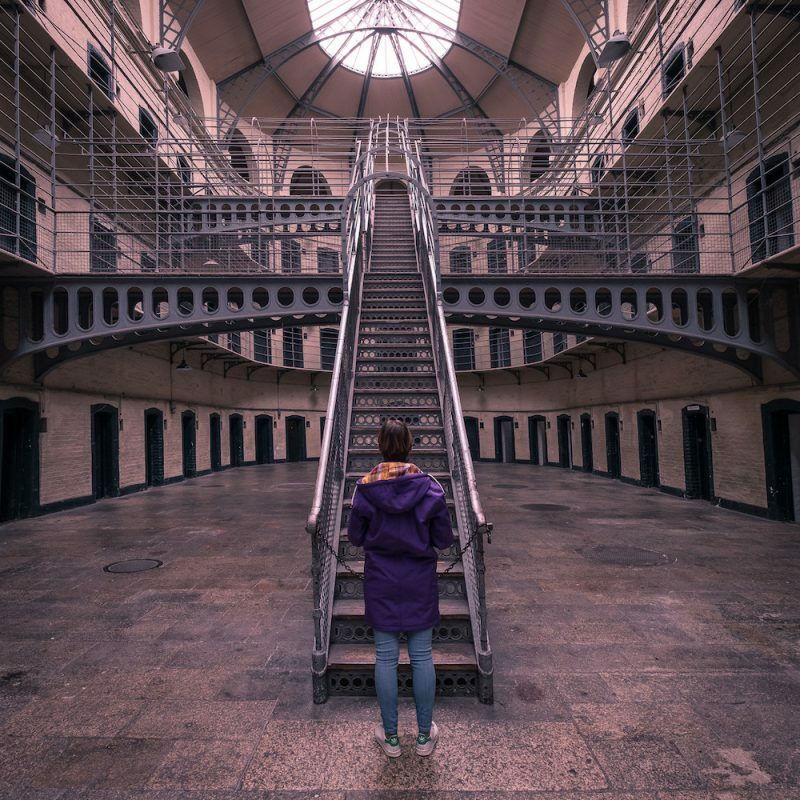 At this point, you can go back to the center and relax or get to Phoenix Park and visit the Kilmainham Gaol, the most famous prison in Dublin. Say bye to Dublin and Ireland and leave. Powerscourt, an estate at the foot of the Wicklow Mountains famous for its gardens; in the area also the Powerscourt Waterfall, the highest in Ireland that fall from 121 meters and at the base of which you can stop to eat or stroll. On the way back to Dublin stop at Bray for a stop on the waterfront and if you still have time and strength, walk the coastal Bray-Greystones that will leave you speechless (once in Greystones take the DART to return to Bray and take back the car).